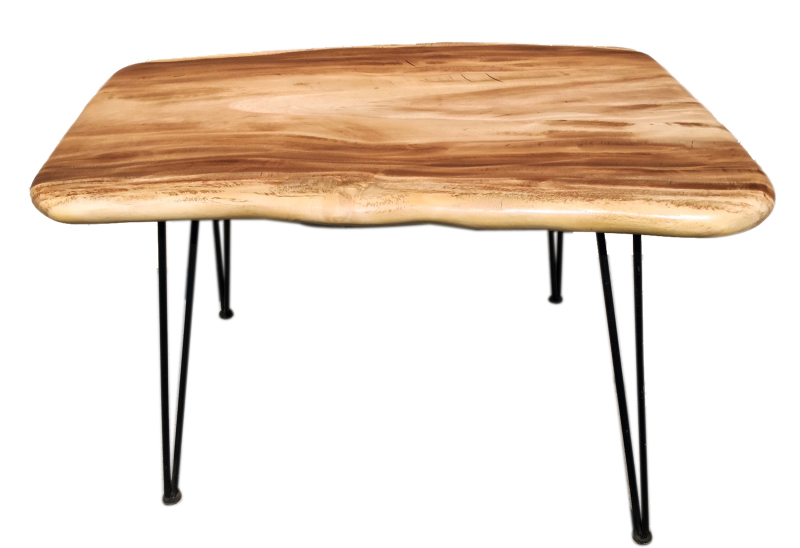 Clean lines with an organic flair describe this table or desk. The top is made from a single slab or tropical acacia wood supported by metal legs. The table ships with the legs off. They are easily reattached with a screwdriver. Each table varies a bit from the next though the dimensions are very close. 47" long, 29" deep and 30" tall; 77 lbs.